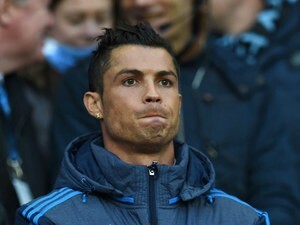 Cristiano Ronaldo to join Paris Saint-Germain should he leave Real Madrid? Real Madrid attacker Cristiano Ronaldo will reportedly join Paris Saint-Germain should he depart the La Liga giants in the summer. Agent Jorge Mendes has reportedly come to a verbal agreement for the sale of Cristiano Ronaldo to Paris Saint-Germain should the Portuguese attacker ever choose to leave Real Madrid. The 31-year-old has scored a remarkable 362 goals in 346 games for Madrid since leaving Manchester United in 2009 but he has recently been linked with a departure from the Bernabeu, with a number of European giants being linked with his signature. However, according to French publication Le Parisien, Ronaldo will make the switch to the Parc de Princes should he end his seven-year association with Real this summer after his agent held talks with the Ligue 1 champions. Ronaldo is believed to be happy in Spain and still has two years remaining on his existing deal, but speculation over a potential exit will persist until he extends his contract at Real. Juventus begin James Rodriguez talks? Dybala rejects Real Madrid interest? Arsenal to bid £51m for Spanish striker Alvaro Morata? Paulo Dybala rejects Real Madrid interest? Klopp: "We could not reach our level"
Fenerbahce make Jose Mourinho move? Ronald Koeman eyeing Arsenal job? Arsenal to spend £51m on Morata?